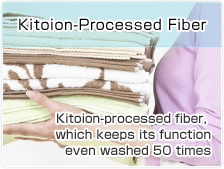 It is a feature adding technology that was born to be an ionic bond at the molecular level chitosan. 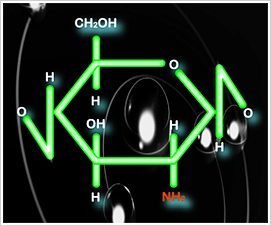 Molecular level bonding keeps its added function for long time and its method that uses chitosan’s great function such as antibacterial function attracts a great deal of public attention. 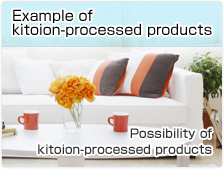 Chitosan is a natural material that is extracted from crabs, shrimps, etc. Crabs (especially red snow crabs) that are rich in resources contain chitosan well so that it is an environmentally friendly reuse material. 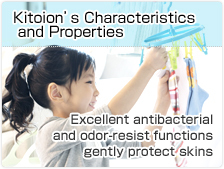 Chitosan that is used for food is safe and has various characteristics such as antibacterial function. Unlike conventional technology, ionic bond technology can be used for various materials and products so that it has attracted a great deal of public attention.